County Councilwoman Amanda Green Hawkins (Pittsburgh-13) introduced the nondiscrimination ordinance into the council. 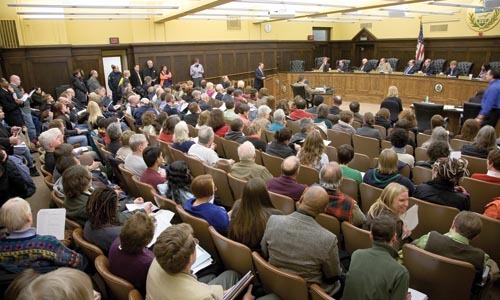 Amidst some controversy from conservative members of the council, the Coalition for the Allegheny County Human Relations Ordinance was formed to rally support. The County Council adopted the ordinance in an 8 – 6 vote.